Every cloud has a silver lining.... an expression that has been around for decades and one that makes more sense than you would imagine. The idiom is a metaphor for optimism in the common English language. The phrase is as true today as it was the day it was coined. The cloud I am referring to is the global economic situation. The outlook isn't rosy, the Europe economy is in a shambles and people are questioning the future of the Euro which was hailed as the future when it was introduced to world financial markets in just 1999. America may possibly be heading into a 'double dip' recession and everyone is sitting on the edge of their seats to see what's going to happen. What does that all mean for us? Well it means that our economy isn't doing as well as it could be either. People don't have the disposable income they had a few years ago and the banks seem loath to lend, and probably for a good reason. Even closer to home it means our housing market has slowed. The June FNB House Price Index shows slight acceleration to 2.6% year-on-year growth from a revised 1.8% in May. Adjusting the nominal growth rate with inflation, real house prices have declined at a rate of -2.5% per annum as at May 2011. Let's say your home value is down 20 percent from R 1,000,000 to R 800,000. But don't forget that in today's buyer's market, higher priced homes are also dropping in price. For argument's sake, let's say that a R 1,500,000 move-up home has also dropped 20 percent in value and now sells at R 1,200,000. If you sold your home today for R 800,000 and purchased the larger house for R 1,200,000 the difference in price would be R 400,000. But if you waited to recoup the 20 percent value on your home and sold it at R 1,000,000 chances are that same move-up home would also move up in price to R 1,500,000. That's a R 500,000 price difference between the two homes. So by selling today, you would actually save R 100,000. Makes you think, doesn't it? The message is simple: sell realistically and buy realistically and you can make money from the current dip in the property market. That's not the only glimmer of hope. The other is that a slower property market means you have the ability to differentiate your home from those around you if you want to sell. Generally buyers in this market are more astute and take longer over their searches – they do not feel as rushed to make decisions as the properties are on the market for longer. That gives them the opportunity to be more thorough in their searches; they get to more properties and look more carefully. According to the Telegraph it is a view echoed by Simon Buhl Davis, head of Interior Services, a department set up in 2008 by leading estate agent Savills in response to the recession-hit housing market. "Frankly," he says, "some properties are unsellable in their current state and would hang around in this market for a very long time, without a decent makeover." It doesn't need to be a huge overhaul but a couple of subtle changes can make a huge difference. "The majority of houses that have been lived in for any length of time have a lot of clutter" says local Interior designer Lauren Scott she continues to add that "just decluttering and depersonalising a house make a huge difference to its appearance – get out a box for the old family photographs and little knick-knacks and put them away until you get into your new spot. It will make the place a lot more appealing to prospective buyers." A little colour here and there can also lend a hand as well as a potted plant or two. The fact that there are small, cost effective ways of making a house that much more saleable has been identified by Avidity Real Estate who are the first local firm to offer a free interior design consultation to anyone who signs a sole mandate with them. The fact is that if you are serious about selling your house and buying another there is a silver lining to the recession. So have an early spring clean, buff up and look on the brighter side of the property market! We hope you have enjoyed this, the second quarterly property focus which HiltonVillage.co.za will publish seasonally, penned by Andrew Morphew of Avidity Real Estate. We look forward to hearing your feedback. By now, you would have to be a hermit not to have heard about the green revolution, one small but very important aspect being re-cycling. Anyone who still needs more awareness only has to look at the number of black bags left outside our World view properties on a Tuesday. Where do they all disappear to? Well, take a trip to the refuse dump at Pietermaritzburg and see where your rubbish ends up, you will see the acres of rubbish which have built up and you cannot help but ask yourself 'How much more rubbish can this area take? Plastic, paper, cardboard, glass and tin are all able to be re-cycled and by re-cycling they can contribute to reducing the cost of finished products which will benefit our pockets. There are whole businesses which have developed based on re-cycled material, who has heard of Ngwenya glass in Swaziland which employs over twenty people making beautiful glass products out of re-cycled glass? Re-cycled paper is used to supplement trees in the manufacture of new paper products, re-cycled tin is melted down and used in the production of new steel products and the same is true for plastic. Re-cycling reduces the depletion of our dwindling stocks of raw materials, it reduces the loads of rubbish which are filling up our towns refuse dumps and it reduces the amount of toxic seepage from these dumps, which are contaminating our water supplies. It makes good sense to re-cycle. In reality it could not be easier, first you will need four separate containers one for plastic, one for tin, one for paper and one for glass. Nothing fancy is required, maybe an old dog biscuit package, cardboard box, empty 20 litre paint container etc. or you can buy four separate bins. Then when the container fills up take it with you to the Quarry shopping centre where there is a really well organised re-cycling depot. You do not even have to make a special trip as I am sure everyone of us shops at the centre at least once a week. You will see the number of black bags outside Worlds View households every Tuesday dropping by at least one bag per house, my own experience was dropping from 2-3 bags per week to 1. You will have a real feeling of satisfaction knowing you are doing the right thing for the environment and future generations. You never know, you may even become so committed that you invest in a 'worm farm which will virtually eliminate all your waste! 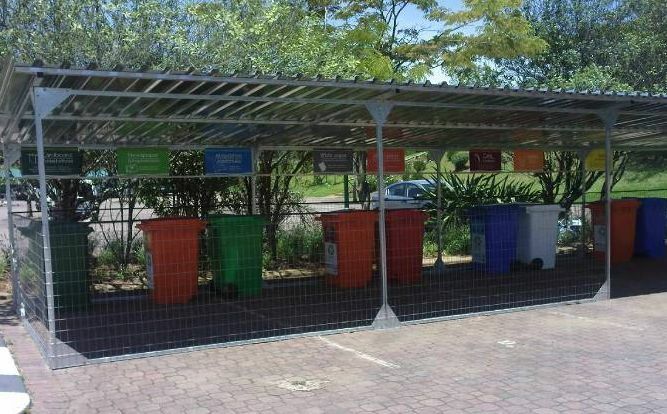 Thank you to Worlds View Conservancy for the inspiring hints and welldone to all Hilton residents who have implemented a recycling system at home. To those who were unsure of where to begin, back to Step one. 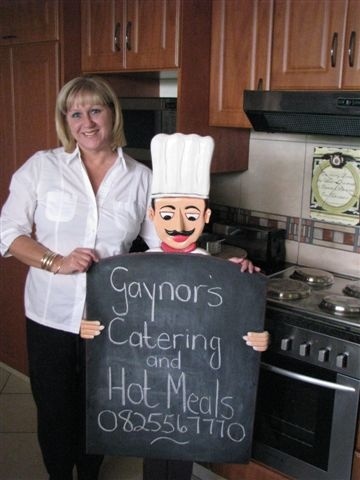 Gaynor's Catering and Hot Meals is now OPEN and ready to cook Hot Meals fresh for you and your family, here in Hilton. Old Bustles' customers who have missed Gaynor's style and personality over the past weeks will be happy to hear this news, so if you and a friend have recently chatted about how much you miss Bustles, then make sure you update your friend with news of Gaynor's venture. 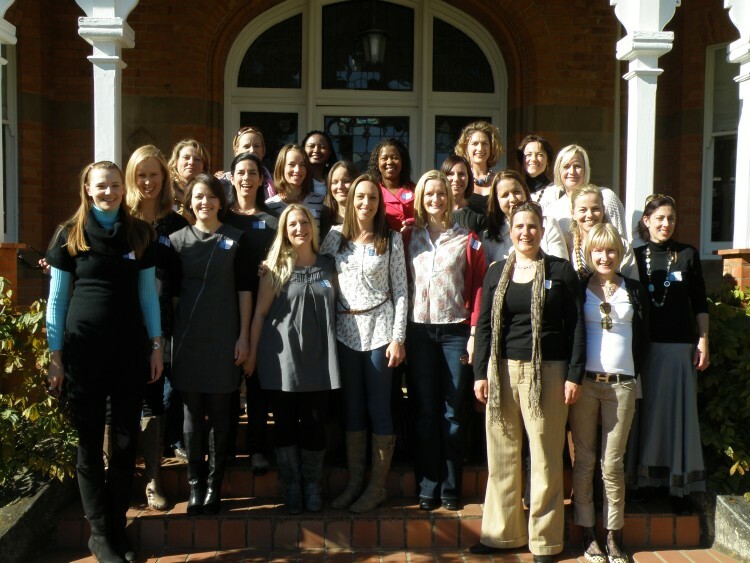 HiltonVillage.co.za wish Gaynor loads of success. 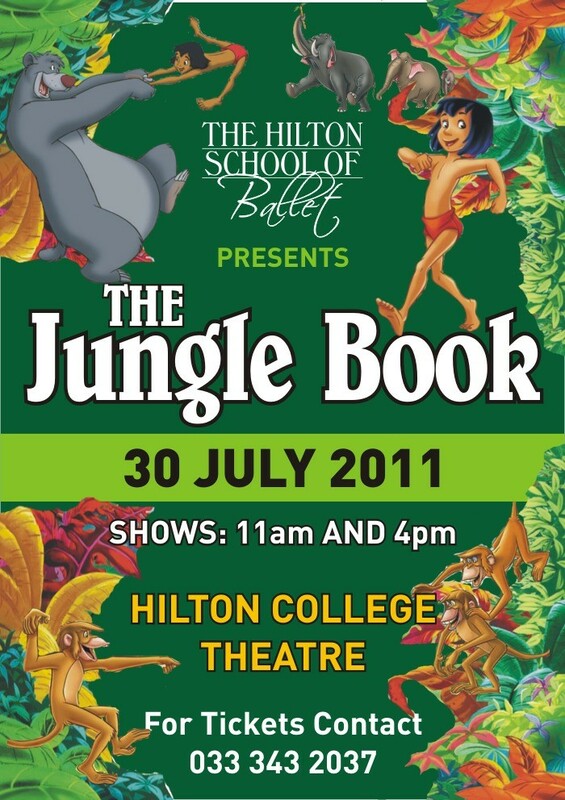 On Saturday the 30th July 2011 Cornelia's little (and some bigger) ballerina's from The Hilton School of Ballet will dance their hearts out, when they present The Jungle Book at The Hilton College Theatre. There will be just two shows so make sure you catch at least one of them!. For more details see the poster below, to get your tickets call 033 343 2037 or contact The Hilton School of Ballet using the online Contact Now option which you will find under Education and Training in our Directory. 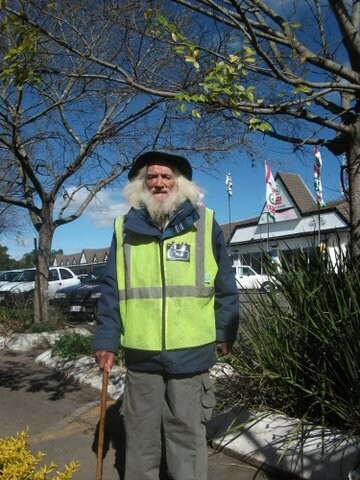 Has anyone in the Hilton Village KwikSpar area seen a weather beaten, white bearded, amiable, and very helpful car guard, dressed in a yellow fluorescent jacket, veldskoen and Stetson hat? We guess they have. If not, he has in the past been riding a battered old bicycle along Hilton Avenue and in earlier years with a young 'umfaan' perched on the crossbar? As anyone might discern, Mike Landsman experienced a tough but fascinating life. In the 1930's he was brought up by his mother who was an Onderstepoort trained vet. After completing school and being a keen animal lover, he tried his hand at veterinary studies, but ended up doing five years in the South African Navy in Simons town. One group task he remembers was bringing one of South Africa's first French built submarines the SAS Jan van Riebeck on its maiden voyage to Cape Town. After his time in the SAN he made an acquaintance with the legendary mercenary leader ' Michael Hoare, who lived for a short time during the 1980's in Hilton Avenue. He has many a story to tell about his awesome battles in what was previously known as 'The Congo'. For a period as a result of his love for horses he joined the South African Jockey Club and helped to look after race horses. After that he took to riding BSA motor bikes with fellow bikers around the countryside. Having received a number of 'not so pleasant' experiences, Mike decided to move to Port Elizabeth and work as an engine mechanic on cargo boats. He also travelled to London where he stayed for a while and then to Australia where he amongst other jobs, helped to lay water pipelines to various stations in the 'outback'. He is not shy to explain that somehow the immigration authorities caught up with him and he found himself deported and incarcerated for a time in Zonderwater Prison in Pretoria. He has strong views on the now outmoded 'death penalty', as from a distance' he viewed some gruesome scenes which took place during the Apartheid era. During this time, after an early release, he married a warders' sister, but was heart-broken when she died ten years later. Losing contact with his sons, he later moved to a vacant plot in Winterskloof and lived by himself in a caravan with his beloved dogs for about 15 years, Readers of the Witness newspaper will remember how Mike was evicted from the property on account of the building of a new housing development. 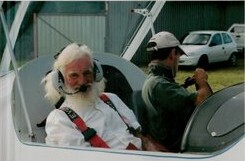 With the assistance of a number of 'do- gooders' in particular his late friend and benefactor Karl Botha, he managed to get the loan of a small plot next to the Howick Airfield , where he now resides and loves taking 'rides' at week-ends with some of his glider friends! To prove his compassionate nature, Mike several years ago discovered a young single mother in a state pensioner queue who could no longer afford to keep her three month old infant. Mike, with a big heart, offered to take the child and bring him up as best possible, an awesome challenge to say the least. This he has done under sometimes great financial difficulty, spending his entire pension on Byani's school fees at Primary School and then Newton Technical School where he has the dream of one day becoming a member of the South African Air Force! What an example to fellow South Africans! A big Thank You to author, Chris Lake for sharing his interesting interview with Mike Landsman......watch this space for news of the updated Winterskloof history book! On the 19th of June, when Round Table is having the market day at Happy Hills, Karin van Zyl-Davel of 'Art & Soul will be doing similar style portraits at a reduced rate of R120.00 instead of the normal price which is R150.00. Yet another Father's Day gift option....'go on, be sketched by Karin van Zyl-Davel. These make delightful gifts! 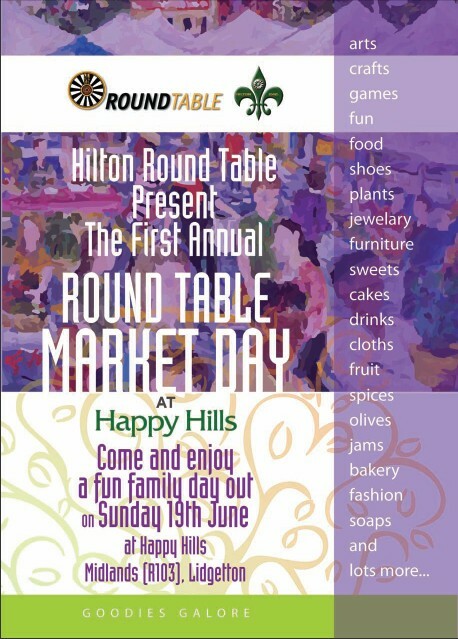 Happy Hills will be having a Market day hosted by Round Table on Fathers Day 19th June, diarise now to take Dad to Happy Hills! There will about 30 stalls at the Market day along with a beer tent and LOTS of kiddies entertainment. The Market will be out in our big open field with Hay Bales and endless views of the Midlands. The day is geared for families but also includes something for everybody, even pets. The Market Day will be from 9am untill 4pm. There are a few stalls left so if you have talents and want to showcase your products call Steve on 084 707 3193 or Lynne on 033 234 4469. Products that are hancrafted or support creative South Africans are preferred. On Thursday 23 June was the Anglican festival of Corpus Christi which celebrates the gift of communion. In Medieval times the chapel service was always followed by plays in the market place which told stories from the bible, focusing especially on the death and resurrection of Christ. The Form 4 Drama girls at St Anne's have just finished studying this section in class and it was only fitting then that on the actual day of Corpus Christi they perform their plays for any brave soul who could stand the morning chill. 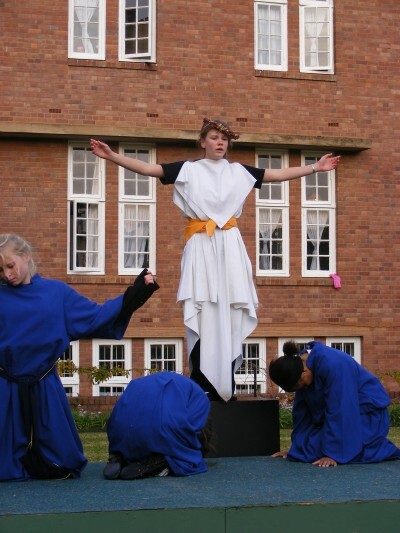 Three platforms were placed on front lawns and after the traditional Eucharist service the girls were treated to embellished renditions of 'The Crucifixion of Christ', 'Daniel in the Lion's Den' and 'Samson and Delilah'. As is tradition, the plays were performed on raised platforms, called "mansions" for easy viewing and performed a number of times so that the crowds could have a chance to watch all the plays. The Form 4 girls did a magnificent job of repeating their play three times so that the gathered crowd could have a chance to walk between the plays and enjoy them all. Many thanks to Mrs Baijnath would prepared the girls for the festival. It was a colourful and interesting morning. The top achievers at the Hilton College Expo will be selected to represent the school at the Provincial Eskom Science Expo in August. Pictured alongside are Baba Adejuyigbe and Mike Salgado. Winter is the best time to indulge in great food and good wine! Nicolson's Country Cafe has a July line-up that is timed just right. Winter 2011 will be remembered as a chilly one in Hilton, making warming meals and red wine even more desirable! On Saturday 16th July it's their Winter Dinner with Live Musician Roger Hopley! Join them for some easy listening in a warm & cosy atmosphere with Jonty's Casual Set Winter Menu designed to Comfort & Delight the senses. There is a cover charge of R35 per head for the Live Musician. Come along and join us for a drink, great relaxing music & scrumptious comfort food! BOOK NOW! THEN'.on Wednesday 27th July Nicolson's are hosting a Groote Post Vineyards Wine Tasting. Join Nick Pentz, owner and director of Groote Post Vineyards at Nicolson's Country Caf?? where we will present delicate Pairing Tastes to accompany each wine. About Groote Post Vineyards' Peter and Nicholas Pentz farm on a 4000 ha property, Groote Post, up the West Coast, 1 hour from Cape Town outside the town of Darling. Our family has been involved in farming for 100 years, mostly in the dairy industry. Up to 1993 strict grape production quota restrictions were in place, which prevented vineyards being planted at Groote Post. With the abolishment of these quotas in 1993, we decided to diversify our farming operations into grape production. After very extensive soil tests the best soils were identified to plant to noble cultivars. The soils are all deep, well drained, moisture-retaining Hutton and Oak leaf types. 120 ha have been planted to date and include Pinot Noir, Merlot, Cabernet Sauvignon, Cabernet Franc, Shiraz, Sauvignon Blanc, Chardonnay, Weisser Riesling, Semillon and Chenin Blanc. 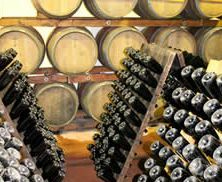 Our wine production is 65% white wine and 35% red wine. The vineyards are situated on the southern slopes of the Darling Hills, 5km from the Atlantic. The Darling area has seen a tremendous amount of investment in new vineyards and wineries in the past 10 years. The area is seen to be one of the upcoming areas of quality wine production in South Africa with its tremendous soils and Atlantic ' influenced cool climate. The first 3 years production of grapes was delivered to a local cooperative winery. The grapes were vinified separately up to the blending stage. This gave us a good idea of the superior quality grapes being produced off our property resulting in an equally good wine and thus spurred us on to build a winery. At the end of 1998 we renovated an old 18th century fort to house our 500-ton winery. The property also has two 18th century homes, which are both national monuments, the Manor house of which was the shooting lodge of Lord Charles Somerset, Governor to the Cape in the early 1800's. It's R85 per head for tasting menu & wine tastings. Bookings essential as usual folks! 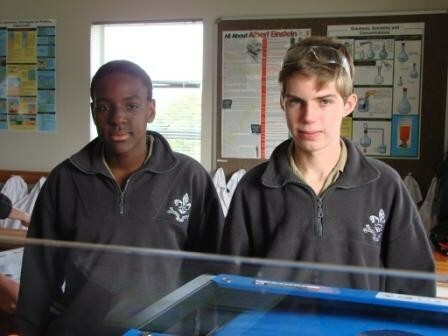 On the 17th June 2011 Matt Dove received the award for "Most outstanding student"; an award which Greg won in 2009 – the only two brothers ever to do so and the first South Africans ever to complete the course. 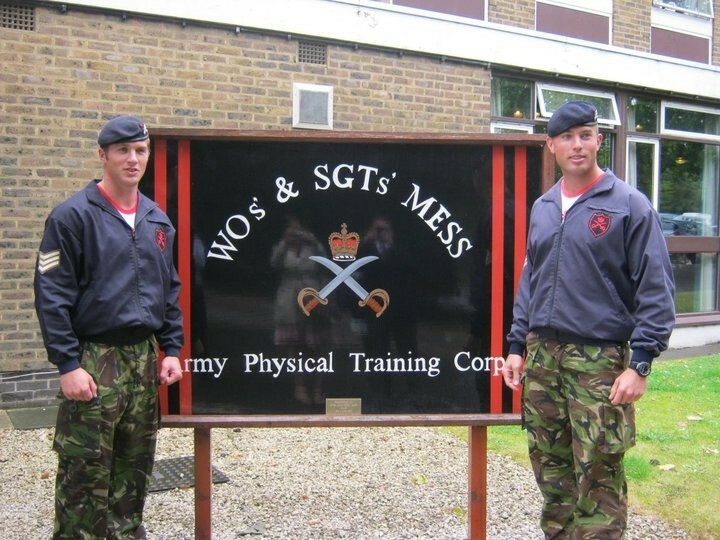 Pictured alongside you will see Matt (left) and Greg Dove (right) at Matt's passing out of the Royal Physical Training Corps on 17 June 2011. 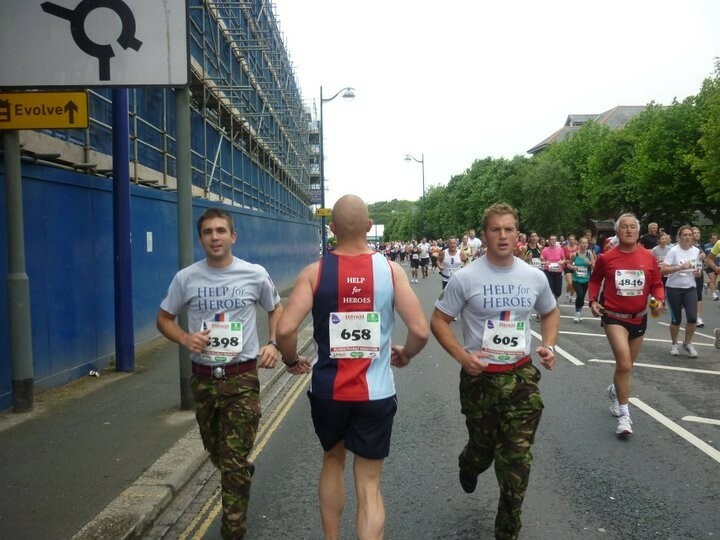 Pictured below is Greg Dove, running the Plymouth Half Marathon (May 2011) backwards recently with his two brothers guiding him towards the finishing line. He managed to raise £750.00 for his charity "Help 4 Heroes". The three Dove brothers are Pietermaritzburg born and bred. 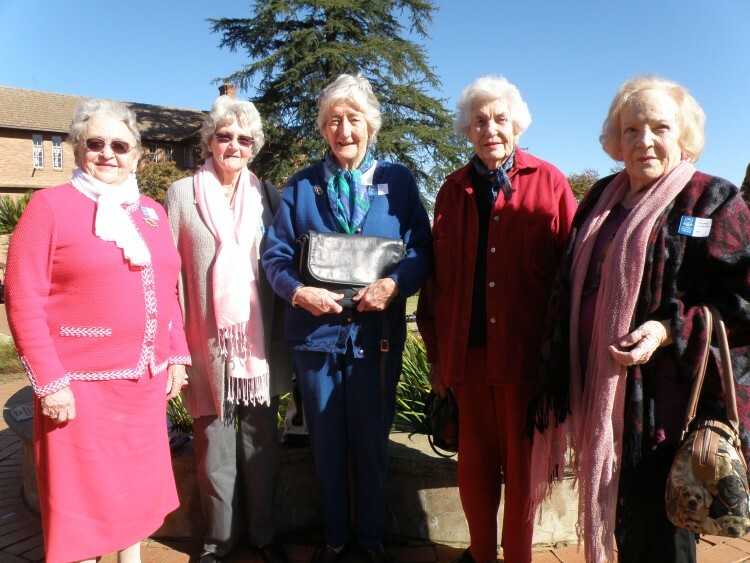 They attended Maritzburg College and their hometown is now Hilton. They are the sons of Veryll Mackrory. Submitted by Marian van der Westhuizen of SPORTRON - Thanks Marian. Yes, it's that time of year again. Christmas in July ' with a difference!!!!! 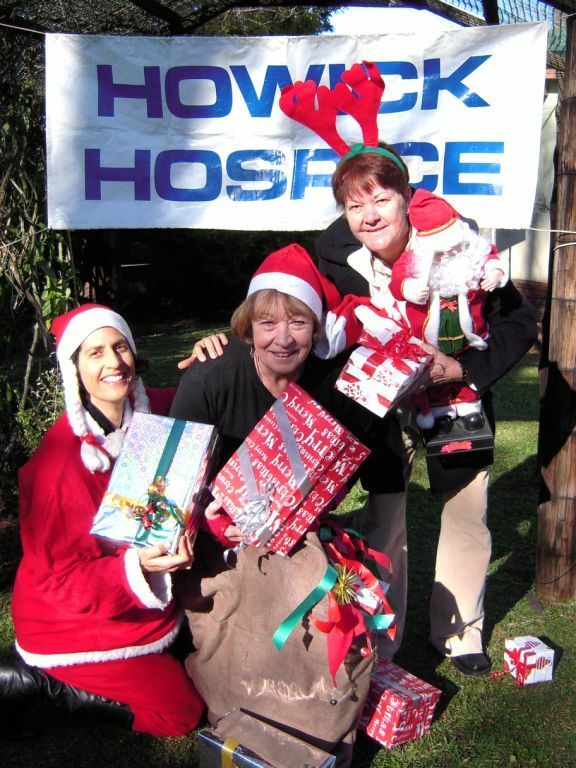 Howick Hospice is having a fun-filled, festive feast and I am inviting you'..to buy a ticket or a table!!! I would love to see you there ' it is guaranteed to be a fantastic evening. Amazing 4 ' course meal, lots of live entertainment ' DJ, Charles Webster playing guitar, pipers, carol singers. Loads of awesome prizes, raffle auction, etc. Come on Hilton residents and other HiltonVillage.co.za browsers! Have a fun evening and support a worthy cause - you won't be disappointed. Introduce us to someone who signs a building contract through us at one of the amazing estates in our area, including but not limited to Garlington, Gowrie and Victoria Country Club. You need to be the first person to introduce us to them. You can introduce yourself to us but you'll have to beat someone else to it! The person you refer has to conclude a deal through us. We won't give away more than one iPad per deal. The offer ends at the end of August 2011. So if you have what it takes to get an iPad give AVIDITY a call. Hilton College decided that the school would celebrate June 16 in a novel and meaningful way . The programme began on Wednesday evening in the theatre with a variety concert entitled @Hilton has Talent'. Each House contributed an item and these varied from skits to a Mr Universe exhibition. The school boys were richly entertained and, since each event over the festival of youth was based on a point system, the winners were Falcon House and their representatives Nikitas Vontas and Michael Ryan who did a marvelously entertaining rendition of a school day at Hilton College. June 16 began with the boys wearing civvies as part of a youth day charity event raising money for The Abandoned Children Foundation. 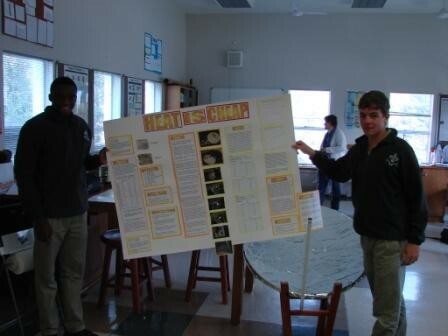 James Robinson and Francois Kassier assisted by Kwadwo Adjepong-Boateng put on a superb commemorative power point presentation whose theme was Apathy. The tone, delivery and professionalism of the production was superb and illustrated the potential of our youth. After the first three periods, the school then participated in 15 events ranging from egg eating to a maths quiz and each boy was asked to participate in one event during the festival. 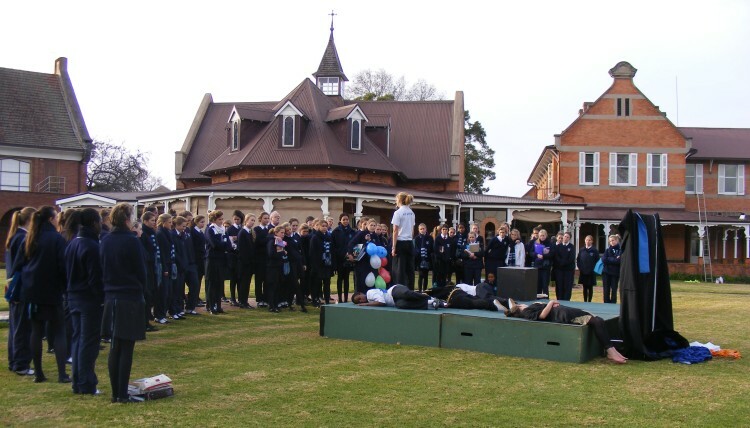 There was a combination of intellectual and sport events which included the Inter House Cross Country and a new event the circular drive trolley race. 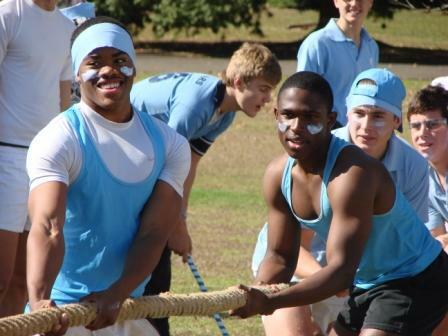 The programme culminated on Gilfillan Field with House war cries. The event will become an annual event celebrating youth and incorporating House and school spirit and a trophy the Youth Cup will be presented in Assembly at the end of term to the House which scored the most points over the whole event. The cultural representatives in each House under the steerage of Ant Durnford the Arts Heritage and Culture Director and Thabo Scott a matriculant were thrilled with the spirit and success of this inaugural event. The lunch for the school had an Asian theme and consisted of Bunny Chows on the front lawn to commemorate the 150th anniversary of the arrival of the Indians in South Africa. St Anne's Old Girls' Day 2011 was held at the school on Saturday, 04 June. The resultant reunion of matriculating classes, dating back to 1941, was entertaining and wholly nostalgic for the most recent members of the group to the oldest amongst the alumni. The day commenced with a chapel service and award ceremony; and this was followed by a tour around the school. Once a place they each knew so well ' grounds that they walked daily between classes - many found themselves confronted with markedly changed campus, well worth marvelling over. This was followed by drinks and a much-anticipated opportunity to catch up with familiar faces and friends ' something that continued as they made their way through to the dining room. The Old Girls' Award this year was awarded to Didi Francis ' class of 2001. Attending her Yale MBA graduation during the course of the week, she attributed this accolade to her time at St Anne's ' an experience that fostered her religious faith and helped her to develop faith in herself. Since her graduation from St Anne's, Didi has excelled on a personal level and in her impact on the lives of others. Co-founder of the Hope and Dream Organisation that helps needy HIV/AIDS orphans, this dynamic woman has also spent seven months cycling from Cape to Cairo to raise money for the Millennium Promise and Millennium Village projects in Tanzania. She will be returning to South Africa later this year to take up her position at Bain and Co. in Johannesburg. No more poignant sense of the day is created than that of speaking to the class of 1941. Returning to the school after some years is an unavoidably evocative experience, and something that was encountered by each woman on the day on varying levels. Together at the dining table, this group of women conveyed an air of unity. Whether it is something that has been sustained over the years, or something that was merely fortified on the day, there was an undeniable friendship between them. The common factor that had led them all back to the same place ' the very site where the connection started years ago ' was their education at St Anne's and all that goes along with that. Transcending the camaraderie and nostalgia of the day are connections that persist into multiple facets of their lives. 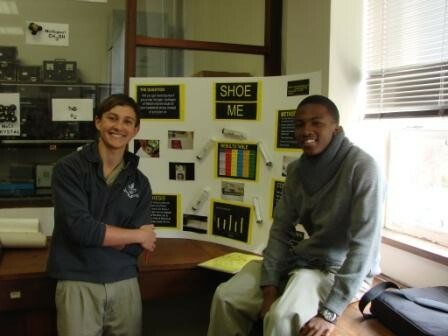 They reminisced over a vastly different school, at a time beyond the comprehension of a lot of its current learners. They recalled tales of an era where it was a lot less grand; still laughing years after the fact at remembering standing against a wall opposite the squash courts in a patch of sun in an attempt to get warm, or grazing noses on the bottom of a perpetually green, dangerously shallow swimming pool. As the young waitresses in their uniforms moved between the tables, one got the notion of the uncanny, with the imagination alive at stories of how the prefects used to walk the girls down the train tracks when it was too misty to play sport ' one day resulting in the girls pressed against the tunnel walls as a train sped through. It was an acute sense of then and now. On Friday afternoon, the present St Anne's student body was given a taste of the meaning inherent on a return to school after leaving. The girls were given the chance to listen to a talk from Diana Armstrong, who has made a successful career in travel and food writing, as well as being a celebrated author since her matriculation from St Anne's in 1961. In the minds of the girls, she successfully placed herself among them as she talked about her years at the school, inciting giggles and a positive crash course for the future, as she stood before them to talk about her career and how she has achieved all of her successes along the way. Totally relatable and understated, she relayed her journey to the girls ' one that has taken her beyond South Africa to America and to their beautiful home in Umbria; a four hundred year old monastery that provides untold inspiration to her. 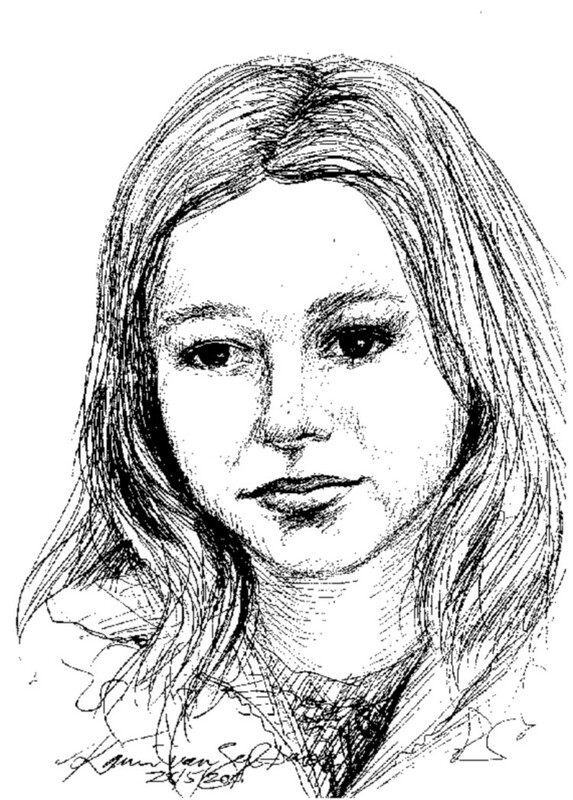 To aspiring writers, she expressed that there is a remarkably more level playing field now than there was when she was at school ' a time that marked the start of the women's liberation movement, and one in which the publishing world was poles apart from what it is now. Amazon and Kindle make it decidedly easier for first-time publishers, and her advice was to tackle every pursuit in small increments ' making success tangible to every girl in the room. Ultimately, and to use her own words, hers is a story of how a giggly, freckly teenager found her way ' even a hooligan and passenger can make it work. Her years at St Anne's stood her in good stead along the way; in addition to the fine education, it was the place where she learnt to be happy and to be a good citizen. Hilton Village Pharmacy has so much to choose from for Father's Day. 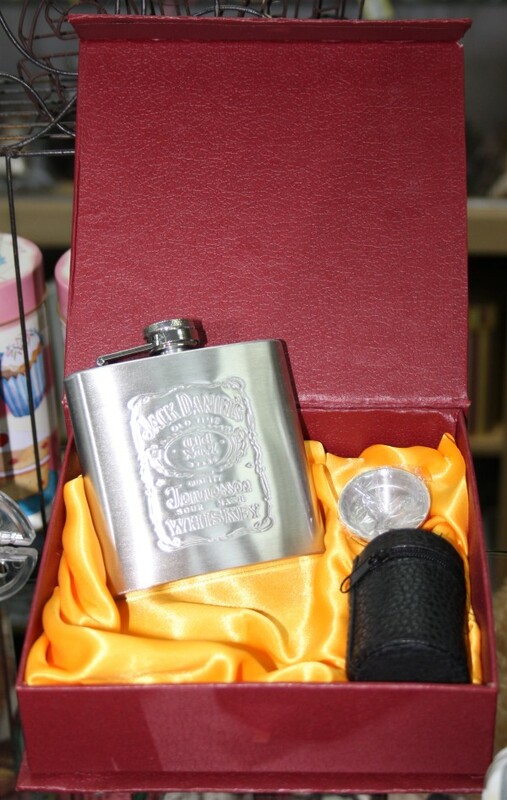 Pop in and enjoy choosing something Dad will love from their wide gift selection. Do some window shopping right away as you view the slide show below. St Anne's beat Epworth to remain league champions for the third consecutive year! St Anne's and Epworth met at Epworth in the final stages of the Parklane Superspar schools league games. 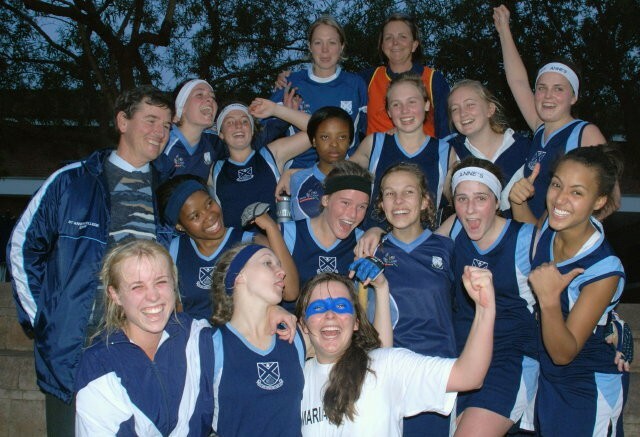 It was a fine display of school girl hockey with both teams playing with heart and passion. St Anne's opened the scoring when an Epworth defender was penalised for a bad which resulted in a penalty stroke. St Anne's captain Sherry King made no errors in putting it in the box. Epworth equalised with a well worked short corner goal just before half time. In the second half it was again a fine battle with both teams attacking and defending hard. St Annes' pressure on the Epworth defence finally gave way to a cracker of a field goal by striker Abigail Latimer. St Anne's clenched the Parklane Superspar league for the third year running. Epworth's Heather McEwan, Amy Greaves and Julie ? were stand out players for Epworth. St Anne's Bella Rudd had some really good penetrating runs through the Epworth defence. Other notable players were Paige Phillips, Katie Polkinghorne and not to forget the ever present, consistently excellent Sherry King. I am extremely proud of our team; they have trained hard all season and haven't given up on their dream of retaining the league title. They have won 6 games and drawn one, they have played clean and attractive hockey throughout the season, and have been a very teachable group. Sherry King has been a faultless captain and has brought out the best in her team mates through leading by a fine and humble example. 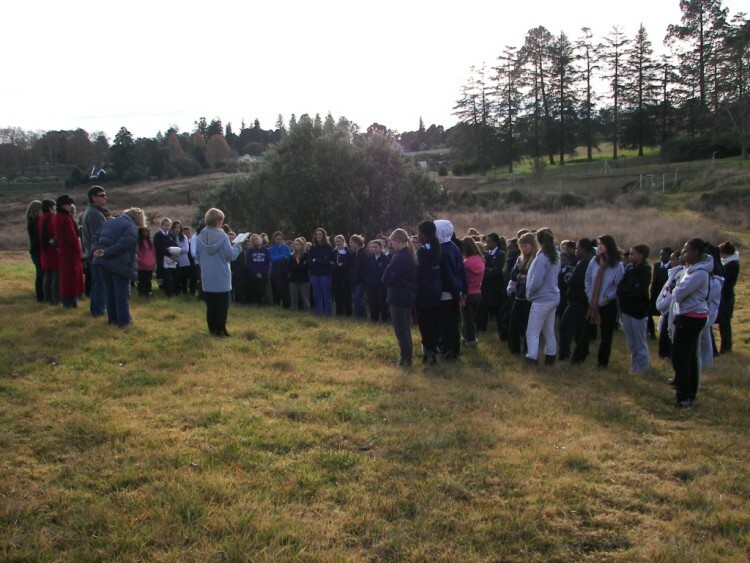 'We are so privileged as St Anne's to have a wetland on our school property, so it was there that we held our Sunday morning chapel service. We had some "active" worship. The girls in each house had to work together in harmony if they did not want to fall over in a group sit activity. When we work in harmony with nature there is balance, but where we do our own thing imbalance occurs and all comes crashing down. We listened to words from the psalms and a challenging poem on the impact of humans on the environment. We ended in silence, taking time to contemplate the beauty of God's creation and to respond to the challenges that were awakened in our spirits.' Photograph Supplied.